Thursday - Kebler Pass (10,000') - Crested Butte - Taylor river. At 10,000 feet Kebler pass was my first big challenge. We continued on the dirt road from the campground. As we approached the pass we encountered fresh gravel in the road. At two miles from the top they were laying fresh chip-seal. It was a mess but the last half mile to the top was clear. 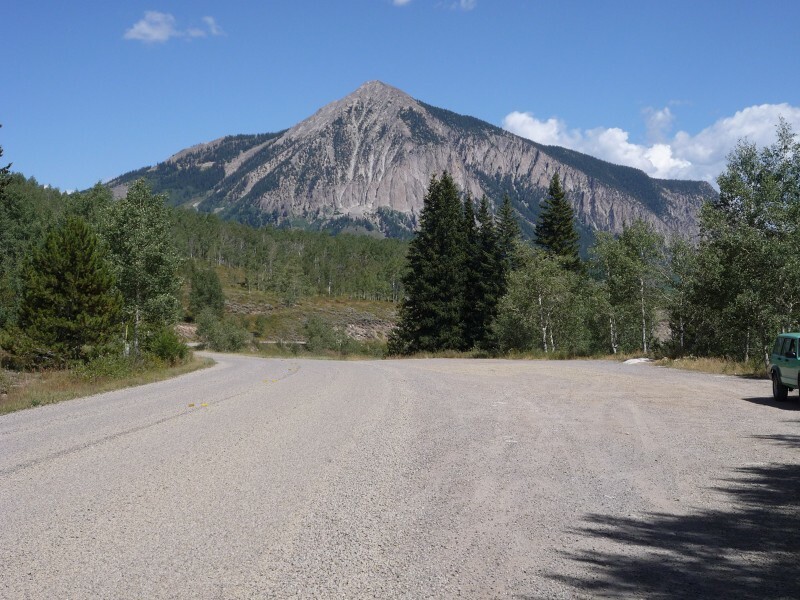 After Kebler Pass we had a choice of going over Ohio pass and down Ohio creek but we opted to go to Crested Butte. 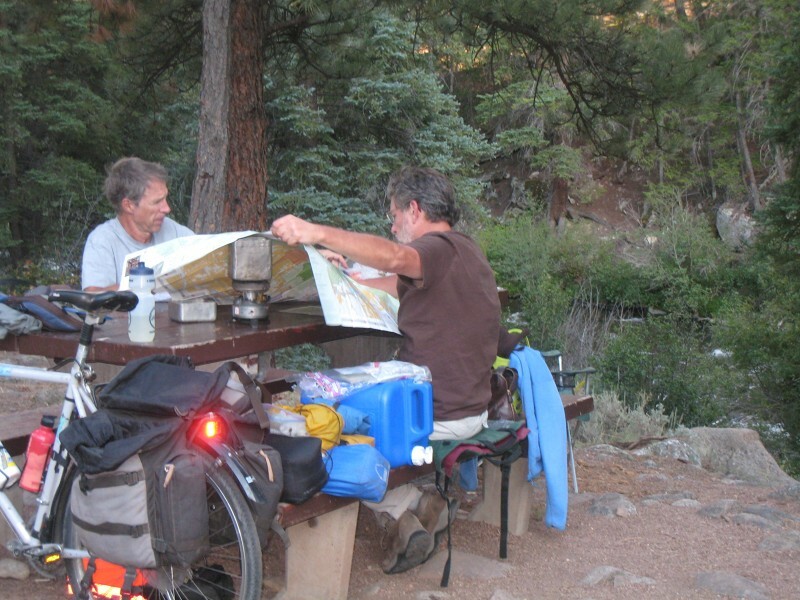 We took the highway from Crested Butte down some miles before cutting across the hills to the Taylor River. 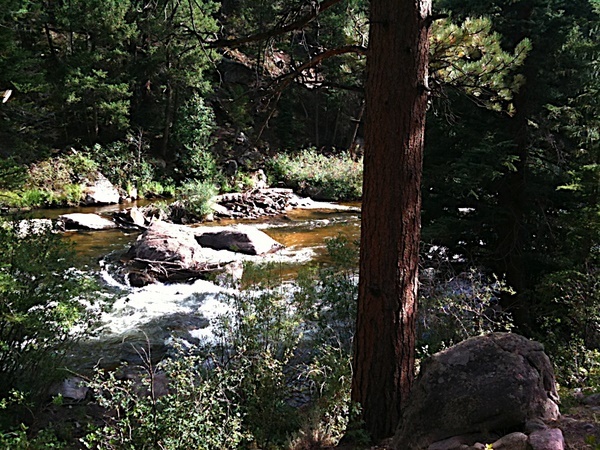 The campground had the river on one side and steep cliffs on the other. 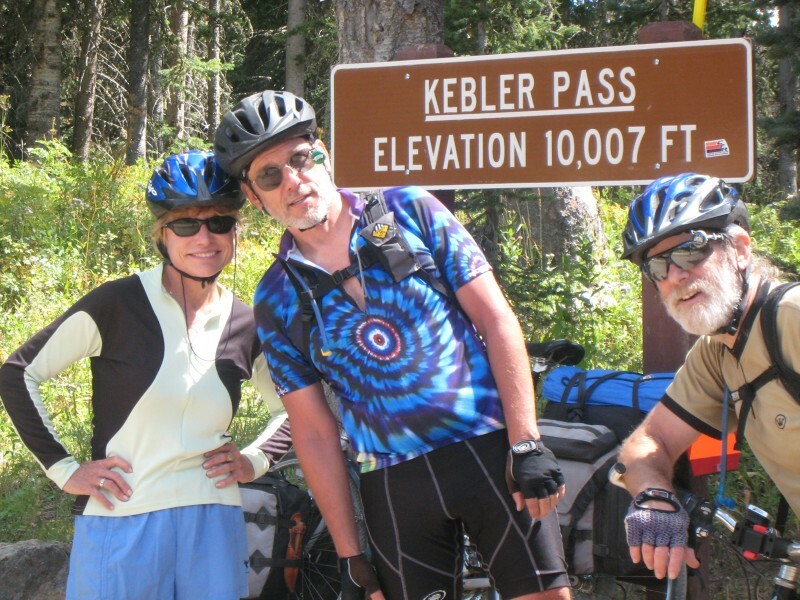 Sharon rode with us up Kebler Pass. Bad luck put us right behind the road grader. We had a lot of loose gravel to navigate. Nice to see road signs way out on a dirt road. 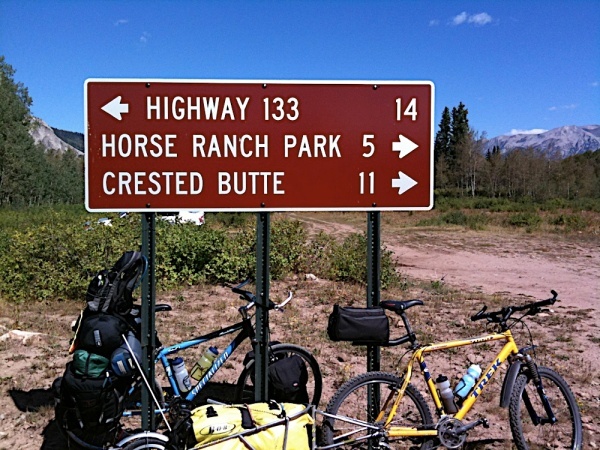 We headed to Crested Butte. 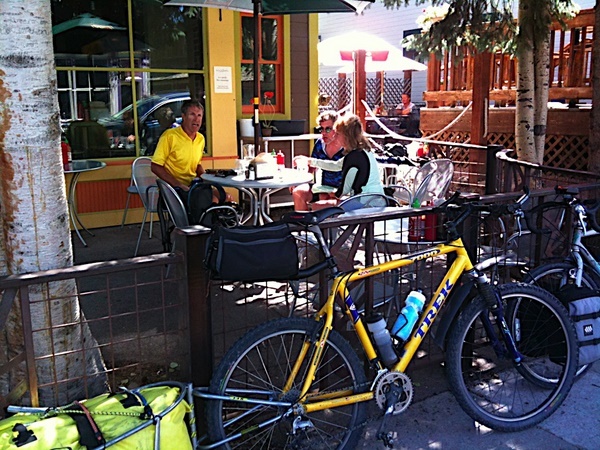 Back in civilization for lunch in Crested Butte. Our camp was right on Taylor River. 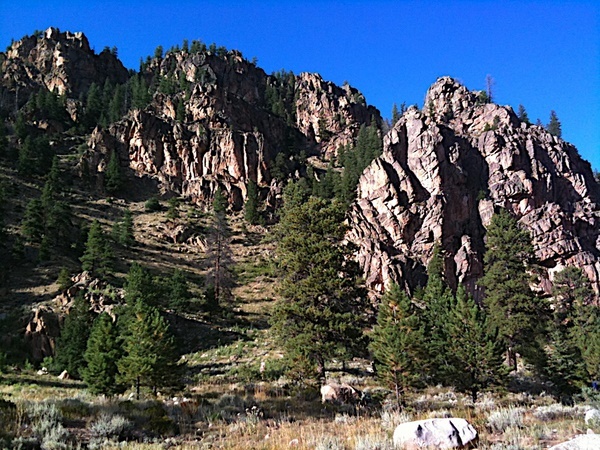 The cliffs are popular with rock climbers. Paul and Andy studying the maps.